The weight scale will deter you from reaching your goals. Not eating a sufficient amount of quality food will dampen your progress. Hours and hours of cardiovascular activity (elliptical, treadmill, zumba) will elevate the amount of cortisol in your body—excessive amounts will breakdown muscle tissue. Progressive overload is key in building muscle. It’s been an awful long time since you’ve stepped foot in the gym, about four months to be exact. Within those four months you’ve developed some bad habits that inevitably took a toll on your health— you’ve put on some weight, you wake up every morning feeling like you want to go back to sleep, and you always crave sugar. Now all of sudden, you get motivated again to reclaim the figure you once had because let’s face it…we are all, to some degree a bit narcissistic—we want to look good. If you look good, you feel good! Let me tell you that I have trained and interacted with a lot of women, and this is not uncommon. Here are four mistakes women make with their training. When the goal is primarily fat loss, there are two factors that are ultimately going to determine how successful you are going to be—weight and body fat. Unfortunately, rather than using a more direct and accurate approach—checking body fat—women tend to gravitate towards the former. If left unchecked, this can be a recipe for disaster because it can deter you from any progress you’re fully capable of attaining. Now, there is a distinction between weight loss and fat loss. Losing weight is not indicative of how well you’re doing and a gain of 1.5 lbs does not mean “work harder and eat less” (this happens a lot) —while under-exercising can contribute to becoming fat and sluggish, over-exercising can cause immune system suppression. If you see your weight drop it doesn’t mean you’ve lost a reasonable amount of fat. Conversely, when you see your weight go up it doesn’t necessarily mean you’ve added fat. Fluctuations are a part of the process. Keep things in perspective, don’t allow the little things to get in the way of your goal, and toss your scale! Don’t be entirely consumed with where your caloric intake should be, specifically regarding cutting back calories. 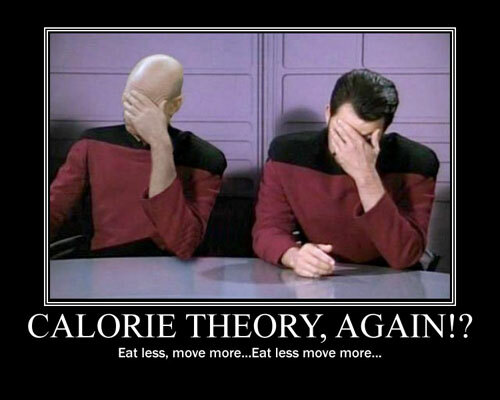 While there is some merit to the “calories-in, calories-out” method, it’s not the be-all end-all approach for fat loss. My issue with it is that your basically starving yourself and while it may work short-term, you will inevitably gain back what you have worked so hard to lose. Reason being is because your thyroid function will start to diminish, as a result of decreased energy (caloric intake) coupled with higher frequency (training). Simply put, this will turn down your metabolism further suppressing your body’s ability to breakdown fat. Focus on the quality of the food rather than the quantity. Nothing makes me cringe more than seeing a person ride the elliptical or run on the treadmill for hours. While there is nothing inherently wrong with cardio, there are some implications that can arise and could become problematic in the future. Cardiovascular activity (aerobic) is a vital component for fat loss, but it’s not the most efficient. You don’t need to beat yourself up by running everyday or going to cycling class five times a week. Long bouts of an aerobic based workout on a day-to-day basis causes the release of excess amount of cortisol, which will cause muscle breakdown and storage of fat, in addition to, prohibiting formation of additional muscle. 15 – 30 minutes of aerobic training a day will do the trick on resistance training days. Circuit weight training has also been shown to be more beneficial with regard to fat loss as well. You see, muscle is very expensive in the body. The more muscle you have, the more calories you’re able to burn (increased metabolism). That is why I’m still dumbfounded by the fact that there are still a lot of women out there who think that lifting weights is going to make you “bulky and muscular.” You don’t get glutes like this by participating in zumba or spin class three times a week. You get glutes like this by progressive overload — heavier weights and an accumulation of volume. To a certain extent, how I train my female clients is no different than how I train my male clients. I still have them perform the deadlift and squat a reasonable amount of weight that provides enough stimulus for the body to adapt and grow. I mean come on, who doesn’t want to get stronger? The confidence that comes with increased strength is advantageous to your overall health. Here’s one of my clients deadlifting 192lbs for a double. Remember: your body won’t change if you don’t challenge yourself.